Although having these have been a joy—our little present of vegetables, flowers, and meat—reading through The Dirty Life, the fact that we finally made this commitment couldn’t have made me happier. Knowing that we were supporting farmers similar to Kimball and her husband, and reaping some serious rewards from it, made me feel really great. But even more than support farmers, reading The Dirty Life made me want to grow something! Inspired, I went out and bought some seeds and two windowsill planters and put some late summer plants in—lettuces, herbs, and such—a few weeks ago. I can’t wait to make pesto with the basil! Until then, I’ve been purchasing basil from Marlow & Daughters, right across the street. This past Monday, our Partners Trace pick-up included two pretty, long eggplants, and all I could think was Asian-style spicy eggplant. It’s an easy preparation; the eggplant is simply roasted, tossed in spicy soy, and topped in Thai basil. 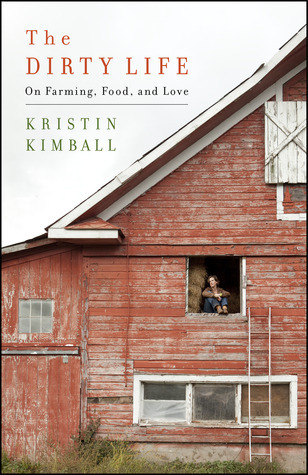 But like many of Kimball’s recipes, farmer’s produce is often simply prepared; the fresh flavors don’t need much. And it’s a delicious dinner, spicy, sweet, and tangy. Enjoy! Preheat oven to 325°F. Place eggplant on a sheet tray and drizzle with oil. Season with salt and pepper. Roast in oven for 20 to 25 minutes until soft to touch. While eggplant is cooking, place soy, chile pepper, garlic, sesame oil, sugar, and ginger in a bowl and whisk together. Adjust seasoning to taste. When eggplant is ready, top with spicy soy and basil.